Nano Today, 2015, 10, 717-736. Selenium/tellurium containing polymers have been attracting growing interest due to their unique properties and potential applications as bio-nanomaterials. The introduction of selenium or tellurium chemistry into block copolymers endows self-assembled nanomaterials with novel stimuli responsiveness and enhanced sensitivity. This review article provides an overview on recent advances of selenium/tellurium containing polymers. 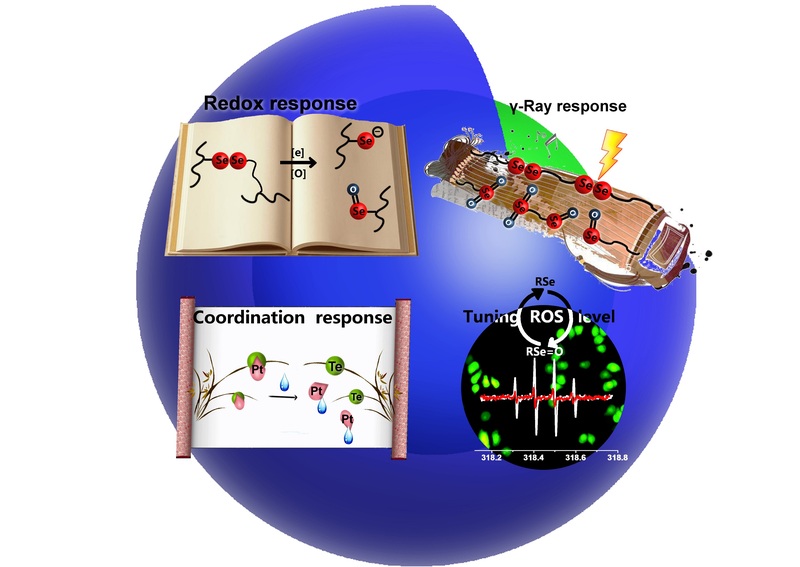 We summarize the redox response and reversible self-assembly behaviors, γ-ray responsive systems for combined chemo- and radio-therapies, and coordination-responsive systems for controlled delivery are highlighted. The review then reveals how selenium-containing polymers can modulate reactive oxygen species and work as gene delivery vehicles or self-delivery therapeutics.